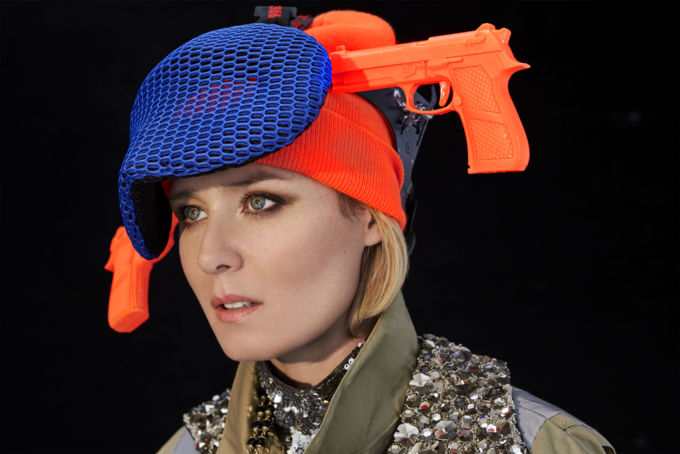 Not merely content with being the star of the show, Ms Roisin Murphy has decided to step behind the cameras to direct her latest clip. Insert smiley face here. See, in the clip for ‘Whatever’, which dropped late last night Australian time, we find our Irish songstress employing a range of icons that we’ve become used to seeing on our mobile devices and cleverly inserting them into the music video. Yes, there are emojis, yes, there’s the Google Maps pin and yes, there are iPhone-esque text clouds, those ellipses when the other person’s texting you back… even that silly rabbit face from Snapchat makes an appearance, all while Roisin dances around the streets in her hi-vis outfit that’s become quite the visual symbol for this album project. The track itself is so not single material… You’re not going to be hearing this on the Hit, Kiis and Nova networks of the country, but whatever… it’s actually very, very clever.